The concept of 'free open access medical education' or #FOAMed emerged several years ago in the world of social media. It is mechanism by which individuals, websites and organizations can act as a community to share and engage with free open access medical education material. Recently a group of radiologists and radiology trainees on twitter have applied this concept directly to radiology with the creation of #FOAMrad, standing for 'free open access radiology education'. #FOAMrad is the sharing and discussion of free open access radiology education material using the online world of social media and blogs. It is not owned by any individual or company, it is merely a concept and a community. #FOAMrad is not a mechanism for the illegal sharing of copyrighted material. It should only be used to share openly accessible information and should respect copyright and creative commons licences where applicable. #FOAMrad should not be used to promote 'for-profit' ventures. As this is a community and a concept you are free to get involved in any way you like. You can join the existing events on twitter by following the hashtags #FOAMrad, #Rad2B and #RadBasics, and by following the @FOAMrad team. If you want to create your own #FOAMrad tweets with a new subgroup hashtag then you are most welcome. I'm a radiologist, can i use @FOAMrad? start your tweet with "CASE:"
always tag the tweet with "@FOAMrad"
add a hashtag to indicate your target audience, eg "#Rad2B" or "#RadBasics"
once the discussion is ended, reply to your original tweet with the answer using the same format as the original case ie. "ANSWER: Hydronephrosis. Read more here: link #RadBasics @FOAMrad"
The @FOAMrad team will endeavor to retweet all high quality "CASE" and "ANSWER" tweets by radiologists that meet this format. If a radiologist is consistently meeting this standard then it is possible for them to be given access to the @FOAMrad account to make the process more efficient. 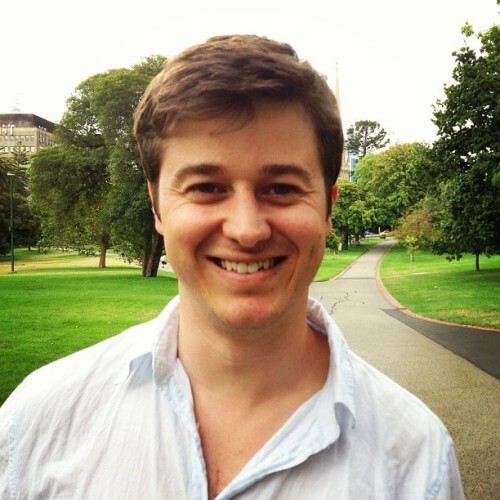 Dr Andrew Dixon is a Radiologist at the Alfred Hospital in Melbourne, Australia. He is social media editor for Radiopaedia.org, and among other things, has founded the successful Radiology Signs project on Facebook, Tumblr and Twitter and the Radiology Channel on YouTube. NB: Opinions expressed are those of the author alone, and are not those of his employer, or of Radiopaedia.org.